Maybe you're looking for something to make your stay a little more fun. Maybe the kids are looking for something to break through the heat of the day. 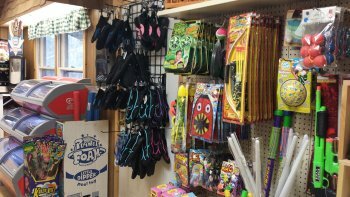 Regardless the reason, Rip's General Store is the place to visit for all your camping supply needs. 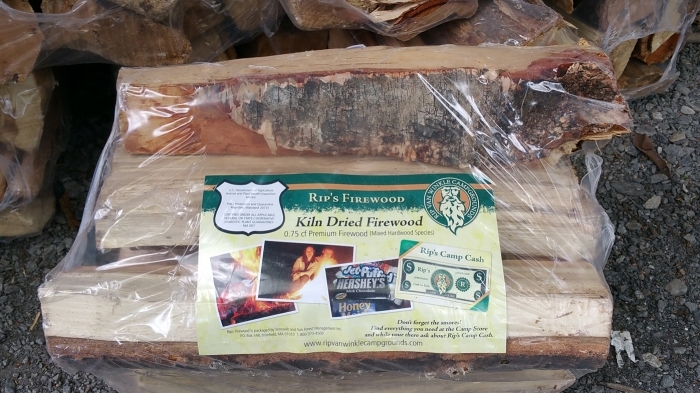 We have contracted to have kiln dried wood prepared and packaged to our specifications making Rip Van Winkle Campgrounds campfire wood some of the best you can find! Conveniently packaged making it easy to transport, never worry about wet wood or worse yet - running out! Plus by purchasing this wood you are doing your part to help slow the spread of Emerald Ash Borer. Heat got you down? 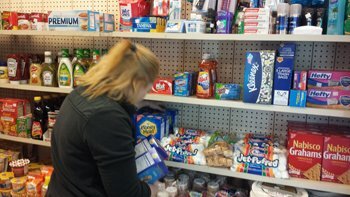 We have a great selection of refreshments ranging from the classic frozen Ice Cream favorites, to frozen drink specialties. 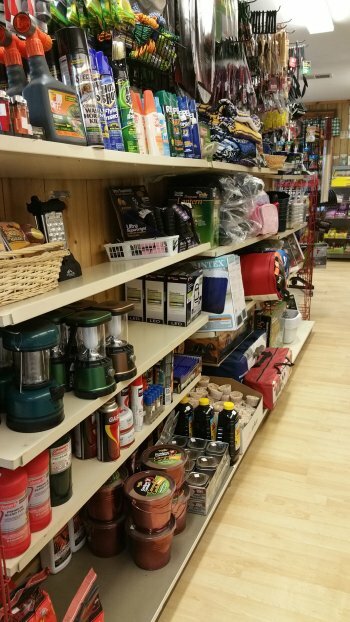 And if you just can't seem to get the day going without a great cup of coffee, stop in we also have a great selection of hot beverages to start the day off right! Glow in the dark - everything! 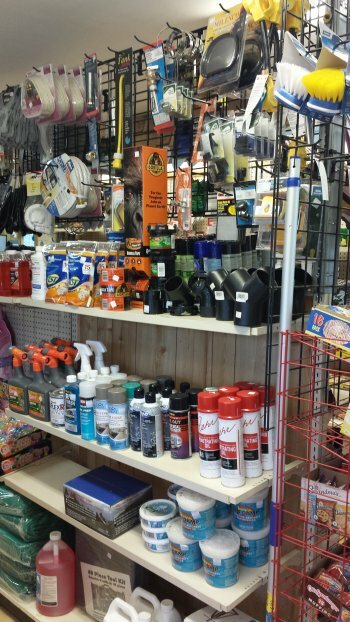 So stop in and browse around. 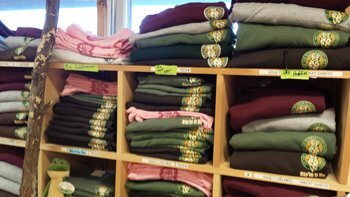 Don't forget to get an official Rip'in it up t-shirt or sweatshirt to bring home with you so you can relive the amazing time you have at our campground!